One thing I have learned upon making more frequent visits to the offices of my elected officials is that they receive A LOT of visitors, phone calls, emails and messages on a daily basis. Take the time to send a handwritten letter. In the age of mass-generated emails and petitions, ol’ fashioned snail-mail stands to be most the most tried-and-true method of capturing the attention of your senator or representative. Aside from a scheduled visit, a handwritten letter is one of the best ways to connect to your elected official on a more personal level. Many reps will read every single handwritten letter that crosses their desk and some will even send back a handwritten reply. Every voice raised in support of wildlife and wild places can make a difference. 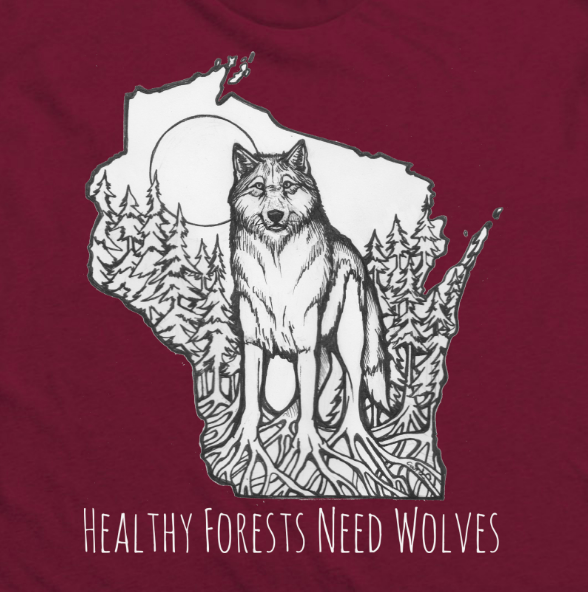 Thanks in advance for taking the time to write or visit your reps and urge them to oppose riders taking aim at endangered wolves and the Endangered Species Act. So what are you waiting for? Grab yourself a pen and paper – let’s do this! I am writing to you in support of the Endangered Species Act and in opposition to efforts by Congress to undermine this landmark wildlife conservation law. The Endangered Species Act is a safety net for wildlife on the brink of extinction and is one of the most effective and important environmental laws in US history. Since being signed into law in 1973, hundreds of species have been saved from disappearing forever, including the American bald eagle, peregrine falcons, southern sea otters, humpback whales, green turtles and grey wolves, with many more on their way to recovery. Since January 2017, congressional Republicans have introduced 85 attacks on the ESA or particular endangered species. Since the Republican takeover of the House in 2011, more than 380 attacks have been launched. These attacks continue despite the fact that 9 out of 10 Americans support the Endangered Species Act and want it either strengthened or left unchanged. We have a responsibility to future generations to be good stewards and protect imperiled wildlife and the unique landscapes they call home. Please oppose any congressional effort to weaken the Endangered Species Act — a law created to ground a cornerstone of science that says the healthiest, most stable natural systems tend to be those with high levels of biodiversity. Wildlife biologists warn the continued threat on endangered species, like grey wolves, could have significant impacts all the way down the food chain. Over millions of years the wolf has evolved to play a crucial role in regulating its ecosystem, from the survival of trees and riverbank vegetation to the health of the populations of their prey. It is a beautiful, complex tapestry that shows the level of interaction that must happen between apex predators and their environment for the full health of the system. Once a piece of that puzzle becomes extinct, there is no going back. Extinction is forever. Thank you for taking the time to read my letter, and I hope that you take it into consideration when presented with the opportunity to stand up for Endangered Species. ← Stop Extinction Challenge !